Circusman P T Barnum was a larger than life figure who changed the shape of entertainment and was even called by some 'the world's greatest showman'. So, it takes an actor with considerable charisma to fill those ringleader's boots and by golly they have found it with the charming and hugely entertaining Brian Conley. 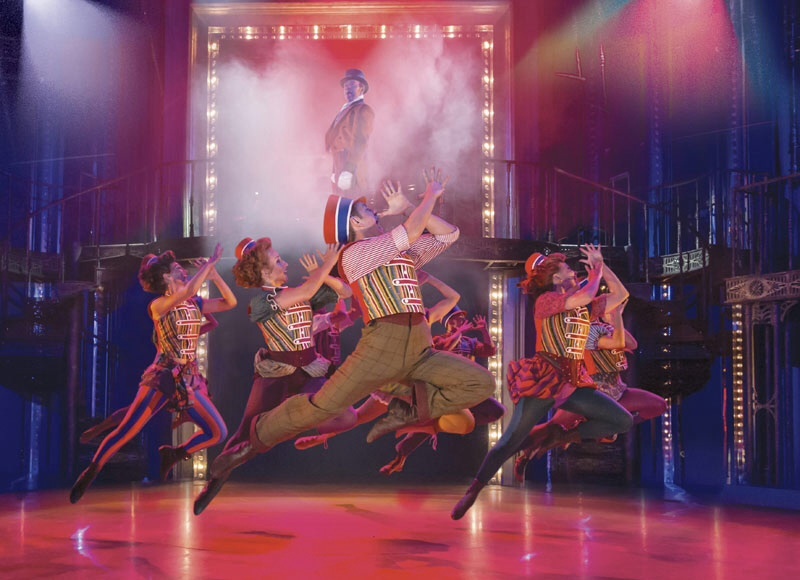 The TV personality seems made for the role as he dominates this riveting, big-budget musical Barnum. Cameron Mackintosh (the producer behind shows from Les Miserables to Cats and Phantom of the Opera) is behind this production and it shows as it is an extravagant, dazzling affair with plenty of heart. Brian Conley may be the lion in this circus ring, but Linzi Hateley playing his wife Chairy, is the lion tamer. She adds harmony and sentiment to the chaos of Barnum's chaotic, colourful life with a soulful voice. Following the life of Barnum - the man who led elephants down Chesterfield High Street in 1899 and brought the world the real-life tiny Tom Thumb - the audience is brought the action via announcements through a circus ringleader. It's a clever touch. Some of his most famous side shows are given the spotlight, like the sassy 160-year-old woman and even the elephant, as we follow this lovable chancer through his highs and lows. 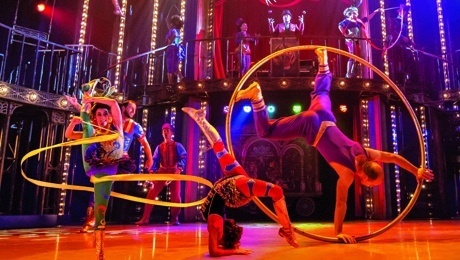 Acrobats, dancers and jugglers mingle with the crowd enthusiastically before curtain up to create a fun atmosphere, and the opening scenes give Conley the chance to interact with the audience in a throwback to his Saturday night television shows. It's all good fun. When the story gets moving, it combines that humour with plenty of drama, which isn't always rose-tinted. After all, Barnum wasn't always the most honorable figure, particularly to his wife. It's this light and shade that add to the emotional pull of this fantastic multi-dimensional musical. The vibrant bright life of Barnum is recreated with dazzling sets and even brighter, stylish costumes from the Victorian period. There's touches of steam punk and rich Victoriana in the outfits. Corsets with bright pink tights, top hats and tartan trousers. Wrapping it all together is the impressive score by Cy Coleman that includes toe-tapping songs Come Follow The Band, The Colours Of My Life and There Is A Sucker Born Ev'ry Minute. There's also mesmerising opera scenes from Barnum's songbird Jenny Lind (played by impressive Kimberly Blake), who dazzles while singing on a trapeze and accompanied by aerial acrobats. The real tension comes just ahead of the interval however when our hero is tasked with walking a tightrope. Quick-witted Conley has the crowd in the palm of his hand and I can't be sure whether some of his failed attempts were intentional to draw you in further to the plot. As Barnum would say, I think we'd been humbugged. 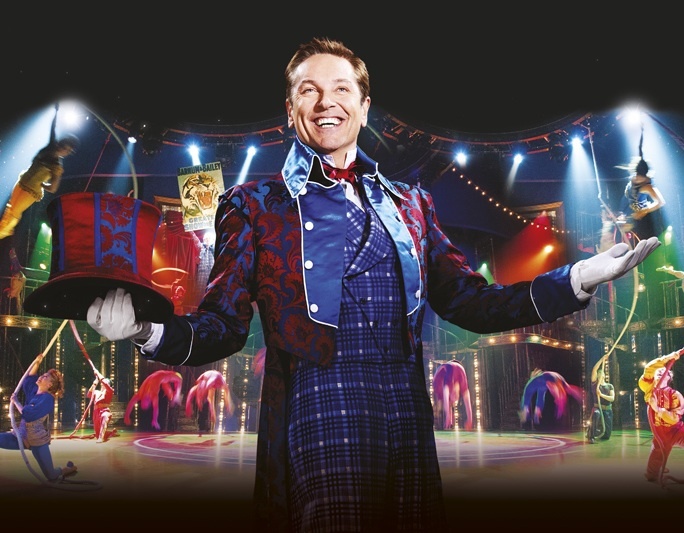 When Barnum the musical first appeared in the 1980s, it clinched three Tony Awards in Broadway. Like Barnum himself, the show has risen from the ashes and is making just as much of an impact in a new century. PT Barnum would be proud. For tickets, call 0844 338 5000 or go online to the Birmingham Hippodrome theatre website.